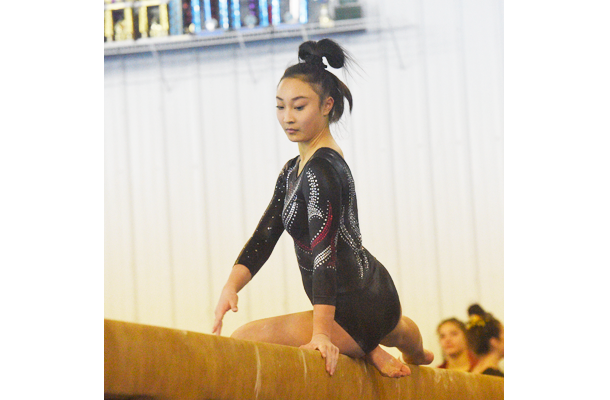 When Rachel Himmel and Nicole Garcia-Tunon joined the Foxes’ gymnastics team as freshmen four years ago, there were no seniors on the squad to mentor the younger girls. It was also Nadine Buchanan’s first year as head coach of the team. All of that has changed now, and more. The 2019 team has more depth and perhaps more collective talent than in recent history, and the girls are proud of the tight-knit relationship they share. 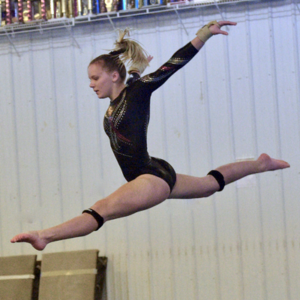 The 13 girls on the team include returning seniors Nicole (bars) and Rachel (beam, vault), Morgan Anderson (bars, beam), Maggie McCoy (beam, vault), and Michela Nicholas (floor, vault). Junior Kaylyn Toomey competes on the beam and floor, and Jenna Tupponce, also a junior, on the vault. Returning sophomores are Zoe Boychuk (bars, beam), Maggie Kelly (bars, floor), and Lucy Markovitz (bars, beam, vault). Additionally, this season’s freshmen trio includes Hanna Essey (floor, vault), Claire Hamilton (bars, floor, vault), Audry Mah (all-around). Some of the team members also are multisport athletes, including Nicole, who competed on the Foxes’ section champion and WPIAL-qualifying golf team. 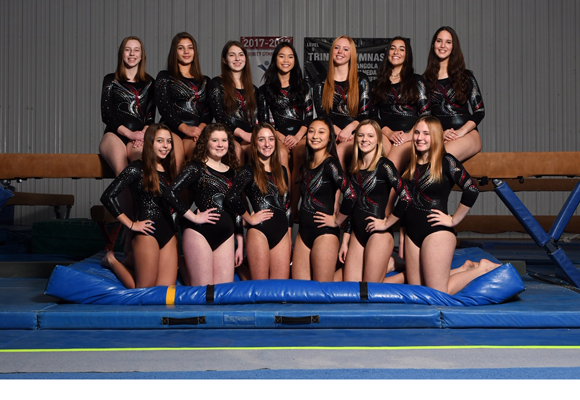 Maggie Kelly, Zoey, Claire, and Hannah also dive for the Fox Chapel Area High School Diving Team, where their background in gymnastics has made them quick learners. That’s probably a good attitude to have as the Foxes flip through a competitive schedule against nine other high schools. But, in the long run, Nicole and Rachel speak for all of the seniors in saying they hope what the younger team members will remember the most about them are their efforts to bring everyone together.